On November 8, Mississippi voters will head to the polls for a statewide general election. The ballot includes three statewide questions, including one on voter ID. Absentee voting has already started in the state’s 82 counties and election officials have begun to prepare voting machines for Election Day. Based on Fiscal Year 2010 information, the Department of Public Safety issued 107,094 photo IDs to offset a portion of $17.92 cost per ID. The cost is estimated to remain the same, but the assessment will no longer be allowable under the provision of Initiative 27 (voter ID). Therefore, the Department of Public Safety is estimated to see a loss of revenue of approximately $1,499,000. The Secretary of State’s office has said that ballots already received from voters without the language will count – but it will be interesting to see if the omission becomes an issue for the losing side in any of these initiatives whether or not the outcome is close. I’ll also be watching to see if other local election officials are as sanguine about the error as Jackson County. Unlike the case in Connecticut I blogged about earlier this week, this appears to have been a preventable error. Technically, the Secretary’s office should have caught the mistake – but 82 counties overlooked it as well. If problems do arise as a result of the oversight, an epic game of fingerpointing could ensue. If nothing else, this is the last thing election officials in Mississippi wanted to be dealing with two weeks before a statewide election. Stay tuned. Be the first to comment on "Did You Forget Something? 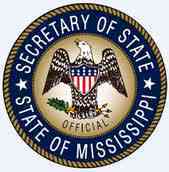 Mississippi’s Missing Ballot Language Prompts Scramble"